The first cultural awareness event, Noche Latina, was recently hosted by Silver Lake Regional Middle School, Kingston. Students and their families were immersed in Latin American traditions, food, customs, and dance. Teacher Rose Whitehall, a native of Puerto Rico, demonstrated cooking she grew up with. Latin dancers Vivi Pierce and Devon Morse taught traditional Latin dances and brought the audience to their feet to give it a try. Traditional foods were also presented by Los Jefes chefs and owners Nikki Irving and Eduardo Miralrio of Plympton who own a mobile kitchen. The husband and wife team prepared and served tacos and traditional foods at the event. 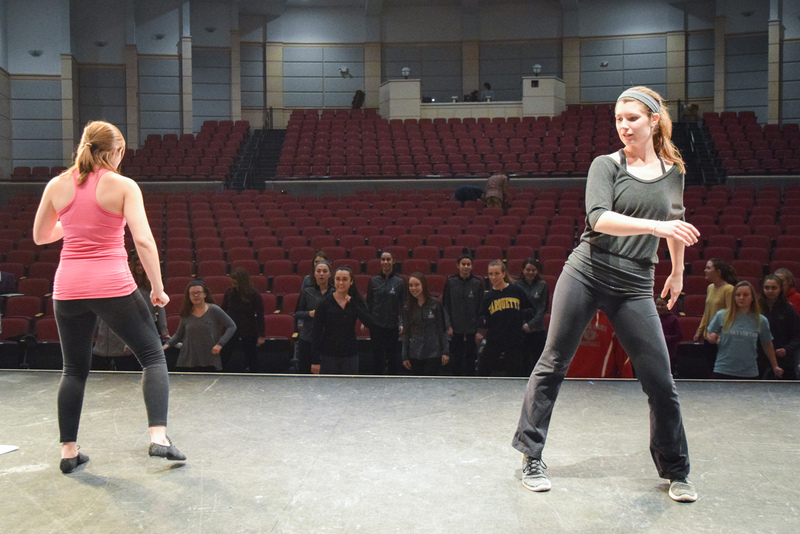 Latin dancers Vivi Pierce (left) and Devon Morse taught traditional Latin dances at the event. Los Jefes chefs and owners Nikki Irving and Eduardo Miralrio of Plympton own a mobile kitchen. 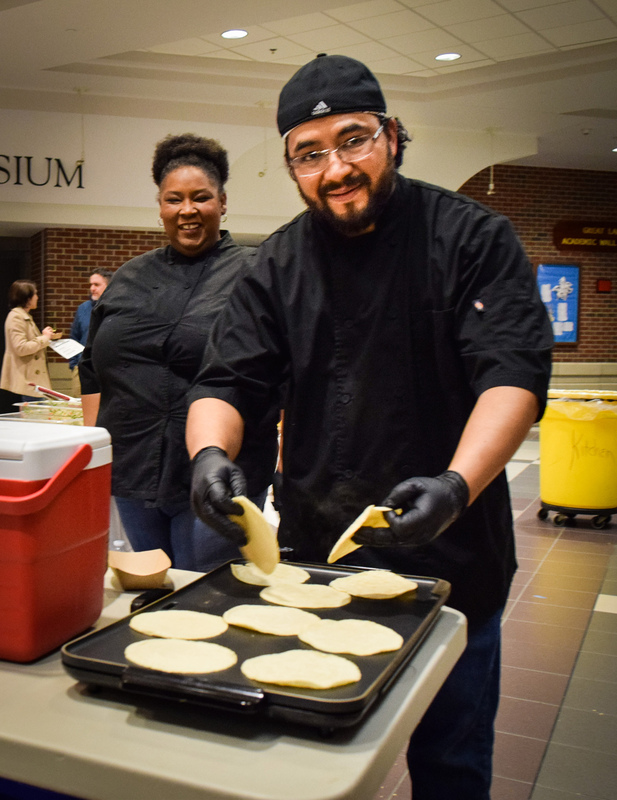 The husband and wife team prepared and served tacos and traditional foods at the event. 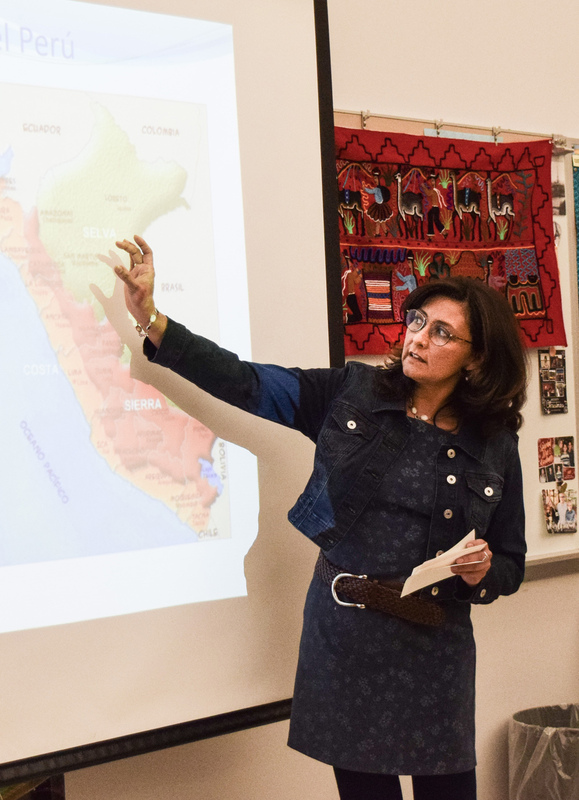 Lucia Acobo pointed to geographical maps as she along with presenter Victoria Cruz discussed cultural differences and similarities between their native cities of Arequipa and Lima Peru’.